Well-known for roasting the Peking Duck to perfection, Imperial Treasure serves only the finest and most authentic iteration of this prized dish. With a solemn dedication to preserving the centuries-old methods of the Emperor's imperial kitchen, each whole duck is roasted to crisp perfection by their chefs from Beijing and sliced on the platter before your eyes. 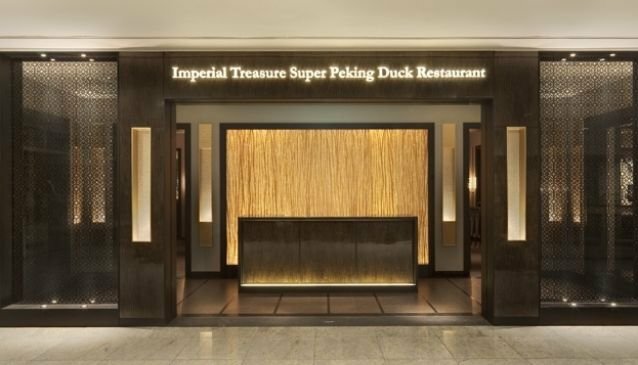 Imperial Treasure Super Peking Duck is regularly acknowledged by the best culinary awards such as the World Gourmet Summit Award and is present in Singapore at two central locations of the city at Asia Square Tower 1 in the Central Business District and on the 5th floor of Paragon in the Orchard area.